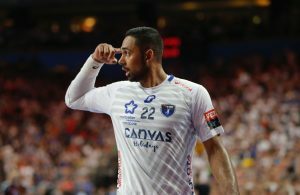 Home / Index category / Sierra to Pick Szeged – Mikler to Veszprem? Sierra to Pick Szeged – Mikler to Veszprem? 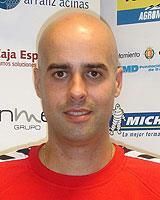 Spanish goalkeeper Jose Manuel Sierra (36) will leave PSG next summer and join Hungarian vice-champion Pick Szeged! Experienced goalie who was the first option of Manolo Cadenas during Men’s EHF EURO 2014 in Denmark, will join the squad of another Spanish coach – Juan Pastor. PICK Szeged has contracted experienced Swedish left wing Jonas Kallman. Arrival of Sierra means that the “number 1” between the posts in Szeged, Roland Mikler will leave the team. Unofficial information speaks about his transfer to the biggest rival – MVM MKB Veszprem! Next Story → Women’s EHF CL TOP 8 begins: Buducnost in Gyor, Larvik in Ljubljana! If Mikler comes to Veszprem, who will leave us?